Novak moves forward with their new Kinetic/Ballistic Brushless system. « Big Squid RC – RC Car and Truck News, Reviews, Videos, and More! Novak moves forward with their new Kinetic/Ballistic Brushless system. 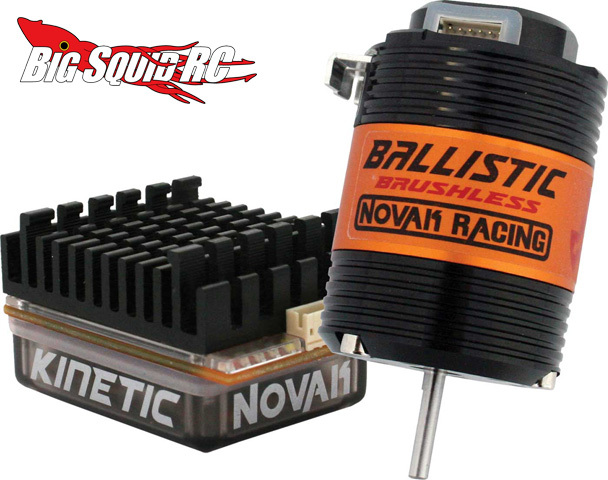 Novak has just released their new Kinetic Racing Brushed/Brushless ESC and it’s available as a system with one of their 10 Ballistic Brushless motors (from 3.T to 21.5T). This new ESC offers a ton of options, easily programmed using Novak’s NovaLink PC Interface, including Dynamic Motor Timing and digital current control. The Ballistic Brushless motors boast an easy to adjust timing assembly along with interchangeable wound stator construction. Visit Novak‘s site for all the details.